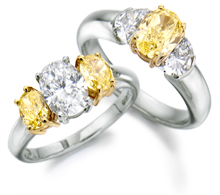 The Guild of Valuers & Jewellers are able to offer a direct service through our valuation centre in Bath. If convenient and by appointment you can drop your items directly into our centre or we can supply pre-paid secure delivery packaging together with instructions. We will ask you to bring or send any previous documents, reports, certificates enabling the valuer to record relevant information in your new valuation document. Often stones are weighed before setting and reports/certificates will have this information recorded. Any watch purchase receipts or previous repair information will also assist the valuer. Prices start at £59.95 – please contact us for more information. If being sent by post it is advisable to photograph your goods before despatch especially if you have no previous valuations or purchase documents. Once received via secure transport we will acknowledge receipt of your goods and proceed to valuation. We will complete within 7 working days and contact you once more for payment. Your items will then be sent back on a date convenient to you. If you would like more information, to book an appointment or to request pre-paid packaging please contact us.